Volleyball stepped onto the sports scene in 1895. It was invented by William G. Morgan, shortly after basketball. It’s basically a combination of baseball, tennis, basketball, and handball. The fast-paced sport has been part of the Summer Olympic Games since 1964. 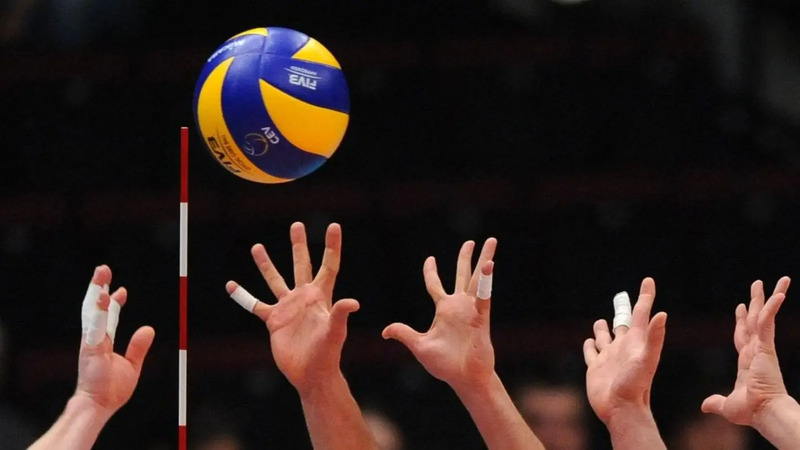 Over a century later, Volleyball has evolved into various formats. There are more than 20 variations from the standard game including snow volleyball, shooting volleyball, sitting volleyball, aquatic volleyball and more. 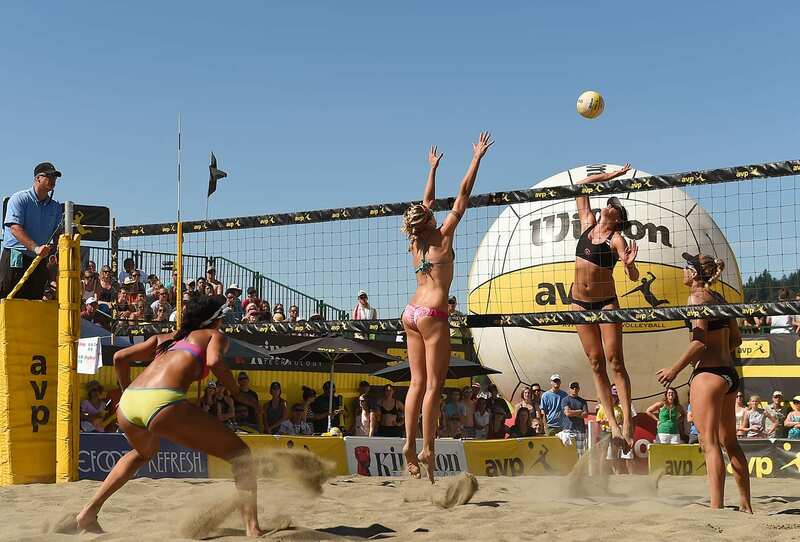 Two of the more popular variations are beach volleyball and indoor volleyball. The handy thing about these two similar volleyball types is that you can keep playing the game you love regardless of the weather. But there are a few basic differences between the two that you have to keep in mind. A beach volleyball court is 16m x 8m, with no clear attack line. An indoor court is 18m x 9m. It has a parallel attack line, 3m from the center line. During an indoor game, the back row players must stay behind the attack line when hitting a ball. Movement is less restricted on the beach, players can hit the ball from anywhere. The biggest reason for the size difference, rapid movement on the sand is very tiring. Plus, a smaller court ensures more entertaining rallies. A beach volleyball is much softer and lighter than an indoor volleyball. The indoor balls are made from leather to be more robust. Indoor volleyball is all about power, the heavier ball moves quickly and can also be hit much harder. The lighter beach volleyball is also slightly bigger. This combo ensures that the ball can almost float in the air, a skilled player can use the weather to his/her advantage. Beach volleyball is usually played with doubles. There’s only a left and right side, with no specialized positions. A beach volleyball player is well-rounded and can hit, dig and also block. An indoor game is played by six players per side, with a specific position assigned to each person. During the game, a series of complex switches and rotations occur. In a beach volleyball game, one player is specifically assigned the role of digging and the other blocking. A beach volleyball match involves three sets of 21 points each. It works on a best-out-of-three system – two sets wins the match. In a tiebreaker scenario, the third set is played to 15 points. An indoor volleyball match has five sets, with 25 points needed to win a set. Three sets win the match. In a tiebreaker scenario, the fifth set is also played to 15 points. In an indoor game, the teams switch sides after a set is completed. The two points winning rule is the same for both beach and indoor games. Another similarity is that both games work on the rally scoring rule, where you can still win a point even though you didn’t start the game’s serve. The official rules for beach volleyball are two players per side, although during informal games more people join in the fun. An indoor volleyball team always consists of six people per side. The coaching team of an indoor volleyball team is also more extensive including the coach, two assistant coaches, a team therapist as well as a medical doctor. In both beach and indoor volleyball, each team has an official captain. Before a beach volleyball game, the warm-up period is 5 minutes, if the teams haven’t played another match for the day yet. If they have, it is cut down to 3 minutes. For an indoor volleyball game, the warm-up period is 10 minutes, if the teams haven’t played another match for the day yet. If they have, it is cut down to 6 minutes. During a beach volleyball set, a captain can only request one time-out. But regular interruptions during the match can be requested. A 30 seconds time-out can only be requested if the ball is out of play. Once the score reaches a sum total of 21 points, a 30 seconds technical time-out is allocated automatically. But this is only applied to set one and two. During the third deciding set, no technical time-outs are allocated and only one time-out can be requested per team. During an indoor volleyball set, a team can only request two time-outs and six substitutions. A substitution cannot occur before the beginning of a set. A time-out lasts for a maximum of 30 seconds. Once the leading team reaches the 8th and 16th points mark during set one and four, two 60 seconds time-outs are allocated automatically. In set five no technical time-outs are allocated. But each team can still request two time-outs. Beach: side changes are made every 7 points during the first two sets and every 5 points in the final third set. No delay during the changes. Indoor: side changes after each set. In the fifth set, a side change is made once a team reaches 8 points. Beach: it’s illegal to double touch the first ball if the ball was not hard-driven and “finger action” was used. It can happen, but it is unlikely, for a serve to be legally “set” by the other team. This contact is judged by the same criteria as a normal set. Indoor: it’s now legal to double touch a first team contact. To legally make double contact with a first ball with finger action, setting the ball, you’ve got to be defending a hard-driven attack. This means that you are not receiving a serve. It implies that you’re also on the defensive and reacting to a ball that’s moving fast enough that the referee can determine that there’s no time to respond in another way. Beach: the setting needs to be perpendicular to the player’s body. The only exception to the rule is if another player on the same side accidentally sets the ball over the net. Indoor: no specific rules to adhere to, as long as it’s not a throw or carry over. Beach: it is illegal. A player can’t use their fingers to tip a ball across the net. For short shots, you can only use the palm or heel of your hand, straight locked or gnarled fingers, or the back of your hand to dink over the net. Indoor: you can use your fingers for tipping over the net. Your hand must be above your head, as to avoid a throw or carry across the net. Beach and Indoor: a two-point advantage is required to win a set, there is no point cap.